The Executive Leadership Committee is pleased to welcome Susan Foulds as Ready At Five's Interim Executive Director. Ms. Foulds is a dynamic results-oriented leader with more than 25 years demonstrated success in producing revenue, executive management, governance, marketing, and strategic planning in both not-for-profit and corporate sectors. Foulds began her career in advertising on the Grey, New York account management team, where she co-produced an award-winning trade campaign for the National Dairy Board. Acting as Development Director for GLSEN, and a catalyst for change and innovation, she initiated and successfully completed the process for GLSEN to become a sponsored campaign of the Ad Council (ThinkB4YouSpeak). She began her independent consultancy in 2007, and has focused on interim senior management assignments supporting clients through critical transition periods, and involving resource development, strategic planning and marketing. She holds a BS in Communications from the University of Tennessee. Additionally, we are happy to announce that Robin Hopkins has been promoted to Deputy Director of Ready At Five. Ms. Hopkins has been the Senior Program Director at Ready At Five since 2015. 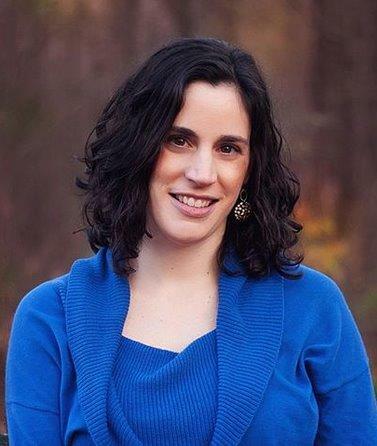 She holds a Master's Degree in Educational Studies and graduate certificates in Teaching Reading and Leadership in Technology Integration from the Johns Hopkins University, and an undergraduate degree in Elementary Education from Towson University. Robin has extensive knowledge and experience with Ready At Five's programs and services, and has an excellent reputation in the early childhood community. She will work with Ready At Five's committed staff to provide continuity while a full search for a permanent Executive Director takes place. Along with this leadership team, the guidance from our Executive Leadership Committee will ensure that Ready At Five continues to be a strong partner and leader in Maryland's early childhood community, supporting educators, families, and children with a thoughtful plan for leadership transition. Maryland's Kindergarten Readiness Assessment (KRA) is a developmentally appropriate observational and assessment tool administered to kindergarteners in the fall of each year that measures school readiness across four domains. Readiness levels, as well as in each domain and by specific subgroups, are reported statewide and for each of Maryland's 24 jurisdictions. Please go to Readiness Matters 2018 to see the entire series. Introducing Our New Parent Leadership Learning Parties! Ready At Five is pleased to introduce a new Parent Leadership Learning Party! Ready At Five Celebrates 25 Years of Improving the Quality of Early Childhood Education with a Campaign for Kids! "High-quality early childhood experiences are the foundation for school success and life achievements. Ready At Five is a strong collaborative partner in analyzing and using the kindergarten assessment data to support families, elevate the early childhood profession, provide research-based professional learning opportunities, and advocate for children and families. Their efforts are critical to the Department's work." This year, Ready At Five celebrates 25 years of improving the practice and quality of early childhood education in Maryland so that all children have the foundational skills needed for success in school, career and life. Thank you for your support over the years. Today though, we are faced with an urgent call to action. Newly released data reveals that 55% of Maryland's kindergarteners do not have the foundational skills to prepare them for a successful kindergarten year. Too many of our youngest learners lack the pre-reading, math, and social-emotional skills needed to thrive when they begin school.